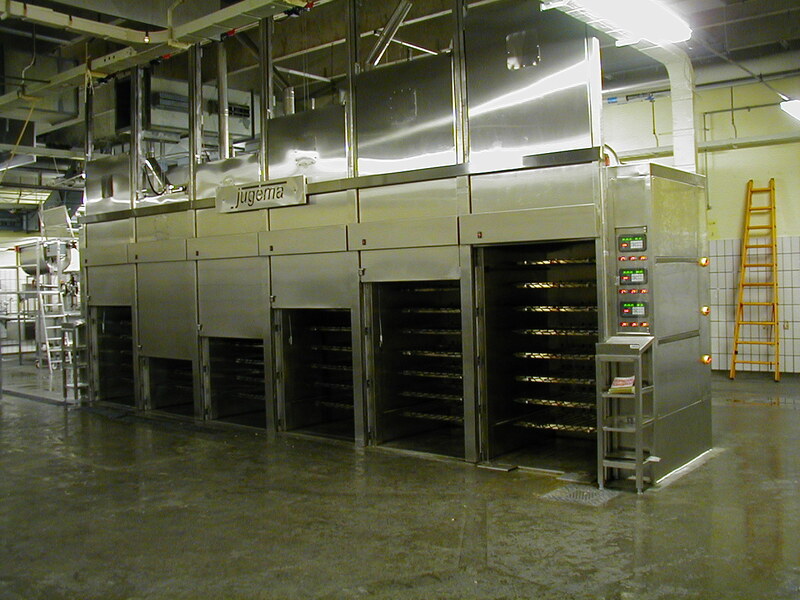 A roasting chamber is similar to a standard cooking & smoking chamber, but the only difference is it is assigned to roasting at temperatures up to 200°C. Moreover, it has a double thermal insulation of mineral wool. Engine and a main ventilator, where the task of the ventilator is to force air circulation, whereas the engine is placed in a special way in order to avoid failures resulting from very high temperatures generated by heaters. Also the construction of a head is adjusted to working in such conditions. Electric steering which allows for steering all processes with the use of a microprocessor. It has a capacity of programming 50 different methods of processing. During all processes the set temperature is maintained due to the work of heating elements and a thermoregulation system. 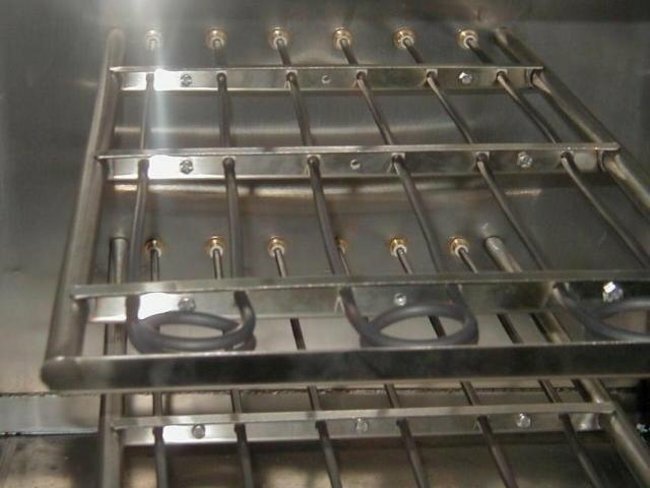 Moreover, we offer roasting chambers where heaters are placed under each shelf, i.e. over separate batches of goods.